Some of us find real pleasure in preparing varied and complicated dishes. Others consider cooking an unavoidable everyday routine. The 5 Fun Facts team feels certain that any person can become a true culinary virtuoso in his or her kitchen — especially with the help of this collection of useful tips! The cooking process makes cauliflower acquire a grayish tint which can spoil the look of the finished dish. To avoid this, add a few drops of milk and a pinch of salt to the boiling water. This will help your cauliflower retain its whiteness. Make sure that your vegetables stay vibrant and mouthwatering even in their boiled, stewed, or fried state by dipping them in ice-cold water immediately after cooking. 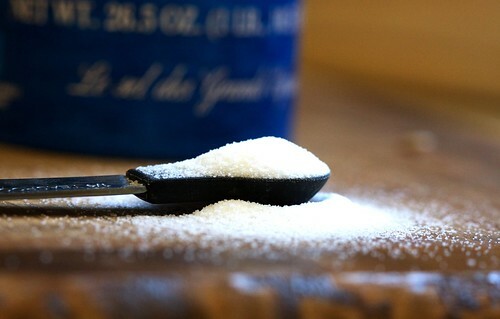 Half a teaspoon of salt added to your sweet dough won’t spoil the dessert. On the contrary — a modicum of finely ground salt will help to bring out the taste of all the other ingredients (such as herbs, etc). Gradually melting ice cubes can dilute the taste of wine. To prevent this, use frozen grapes instead! They’ll do a great job at cooling your drink without altering its palate. 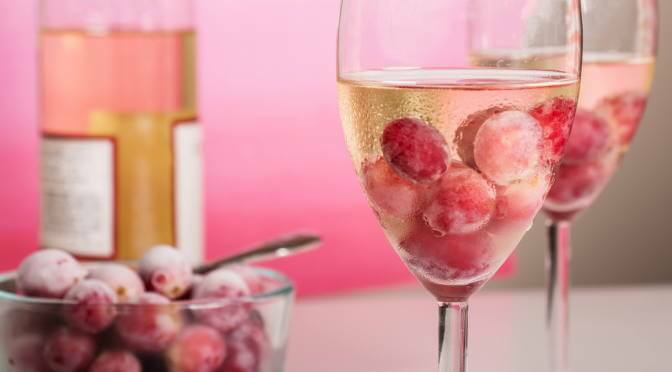 This solution works for any type of beverage — simply add frozen grapes or fruit according to your taste. All too often, cooking makes rice turn into a runny gruel. If you want to prevent this from happening, cover the saucepan with an ordinary kitchen towel immediately after turning off the heat. The towel will absorb excess moisture, leaving your rice dish deliciously crumbly. Learn more about this simple and ingenious trick! To get some extra juice, put a fresh lemon or lime into the microwave. Set it to maximum heat, and leave the fruit inside for 10-20 seconds. Remove the fruit from the microwave, and slice it into 6 wedges using a well-sharpened kitchen knife. Squeeze out the juice — there should be a lot more of it than usual! You don’t have to stick to an exact recipe to make a wonderfully tasty cake! All you need to do is memorize this simple rule: the main ingredients must be used in equal amounts. The weight of the sugar must equal the weight of the flour. The amount of eggs must be the same as the amount of butter. Use kitchen scales to get your measurements right! Adding an egg white and 1 teaspoon of corn starch will help to keep your meat juicy and tender throughout the cooking process. Don’t add the juicier vegetables to your salad straightaway. Put them in a separate bowl first and sprinkle them with some fine salt. Wait for a couple of minutes, then add them to the salad. Add the dressing and stir all the ingredients well. Salt prevents vegetables from losing liquid, thus helping them retain their fresh taste. Next time you’re making coffee, try adding a pinch of salt and cinnamon! Salt helps to make the taste more mellow, while cinnamon serves to bring out the coffee’s aroma and enhance its vibrancy. the palm of your hand minus fingers equals about 3 oz of meat. You don’t need to cut a lemon to get its juice. Use your palm to roll the fuit across the countertop a few times, than pierce the bottom of the lemon with a toothpick and squeeze out the juice. Oxygen won’t get into the fruit and your lemon will stay fresh.